Guaranteed flexibility and ductility. 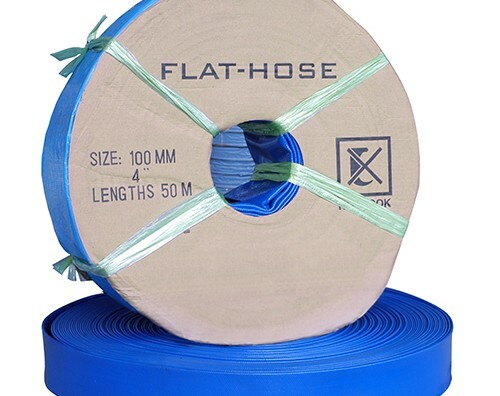 This is Irritec Flat Hose. Reinforced, flexible and lightweight. Ideal for connecting different tubes, thanks to the simplicity of cut and bore. High resistance is guaranteed by reinforcement with a woven mesh, without compromising lightness and ease of use. Extremely practical, lightweight and flexible, saving time in laying out and picking up. Ideal for temporary connections or lines which need to be moved frequently.